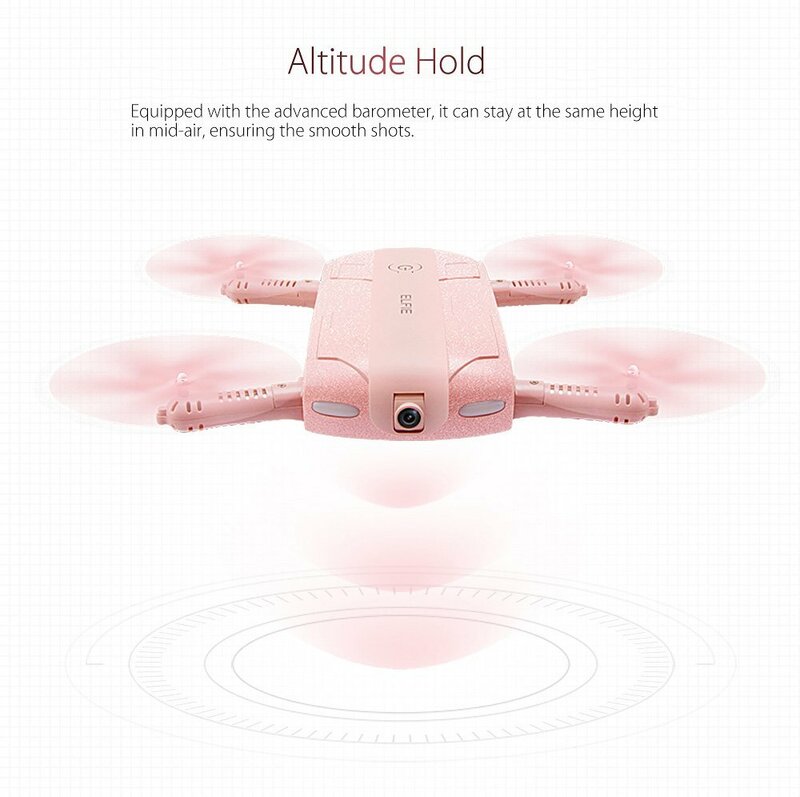 - 720P WiFi FPV :Its HD camera allows you to get great selfies effortlessly. The 100m control distance offers you the awesome bird's-eye view. - Headless Mode :In this mode, the drone flies to any direction you want even though you do not know its orientation. - Aerial Show : It is capable of carrying out 360-degree rotations towards various directions with amazing agility. - G-sensor Control :The G-sensor mode enables the small quadcopter to automatically follow the way you move your smartphone. - Video fps: 25 - No auto-tracking function. Don't need to rack your brain for the Valentine's Day gift! This adorable drone is the right one for her! Your sweetheart can take as many 2MP beautified selfies and 720P videos as she likes!